Demonia's Scene 51 Wedge Boot is a shiny red patent vegan leather boot. The gothic boots are mid-calf height with a front zip with large O-ring. 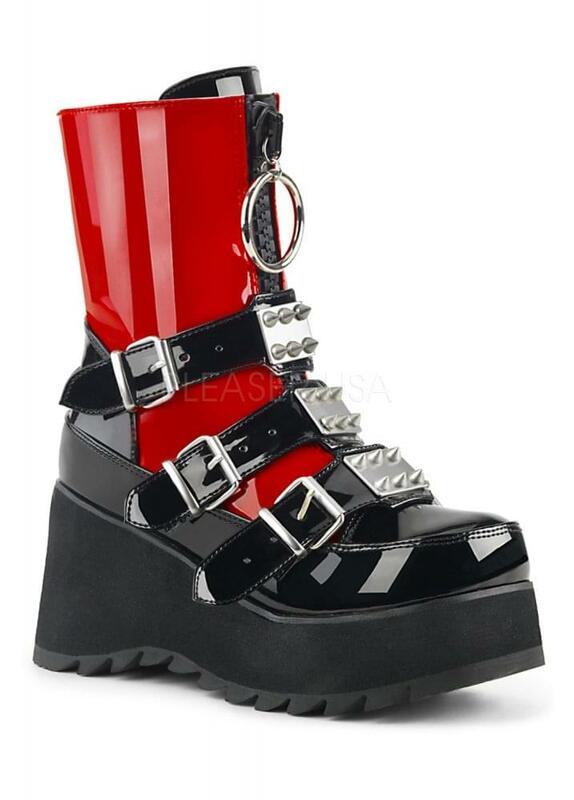 The alternative boots also feature 3 buckle straps with spike studded metal plates.